So did that happen on last ride, or has it been present since original explosion -gate? The chain won't do more than 1/2 a turn without coming off on largest cog, slips like a mother on the three largest - I'm assuming it has been whats causing my issues and the last incident has bent her too far after causing the snap. So any recommendations on a new cassette ? 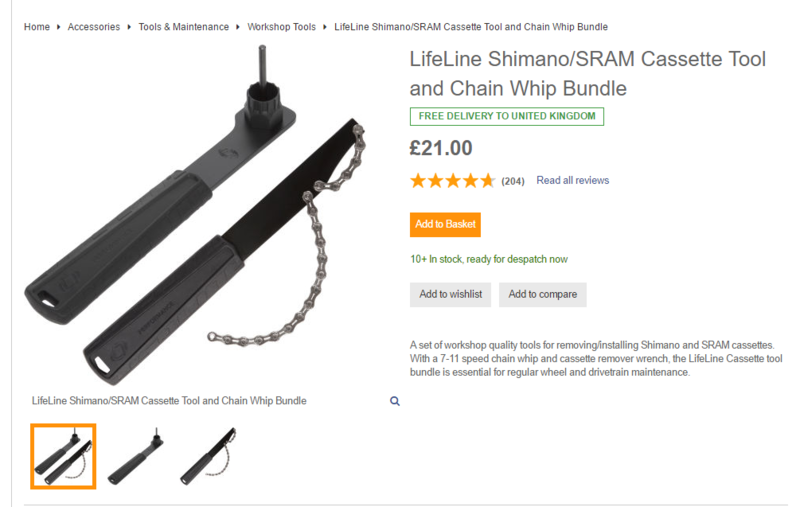 XT cassettes are supposed to be bomb proof, and I love Sram cassettes, £40 should get you one which will last for years with regular chain changes. Yeah reckon on last ride you mentioned you were about to climb a steep little bit, so you'd have shifted to granny, chain would have jammed/slipped off cassette and broke, further bending the cassette. Or bending chain with so much lateral force, due to cog twist, it popped the plates apart, which I think the pic of break shown too. Is the hangar ok still and mech? 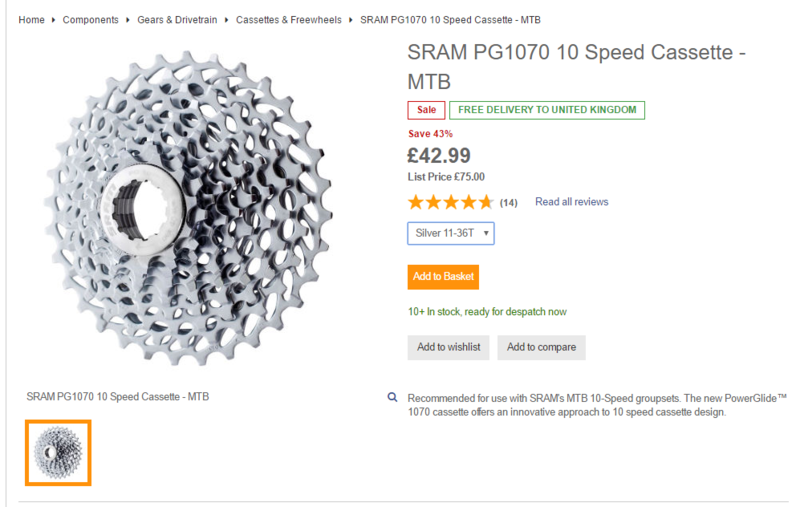 I'd go with a SRAM, 11-36, 10 speed, they have better spiders than shimano, and quieter too. cheers ill take a look - assume i need some kind of removal tool too? 1070 11-36 well worth the money, just make sure its the MTB version, I think the XT above may be road version. Cracking cassette! Best sweet spot of the 1030 1050 + 1080, for weight, strength, spider setup, and mountain goat climber ability too! Amazing the Mavic /STXs wheels are rolling so well, 16 years on original bearings, never serviced. Those wheels were in the magic era of my first proper MTB, took me all over Edale/Peak district on some crazy gnarley descents when I look back on it, getting caught out in some proper rotten weather too. Will be a good test see how long they last her!